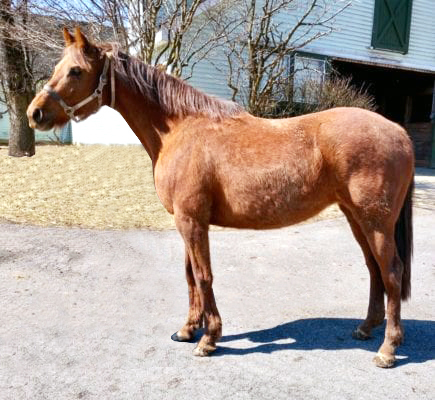 We secured this young mare in a private purchase for the price of $1,000. 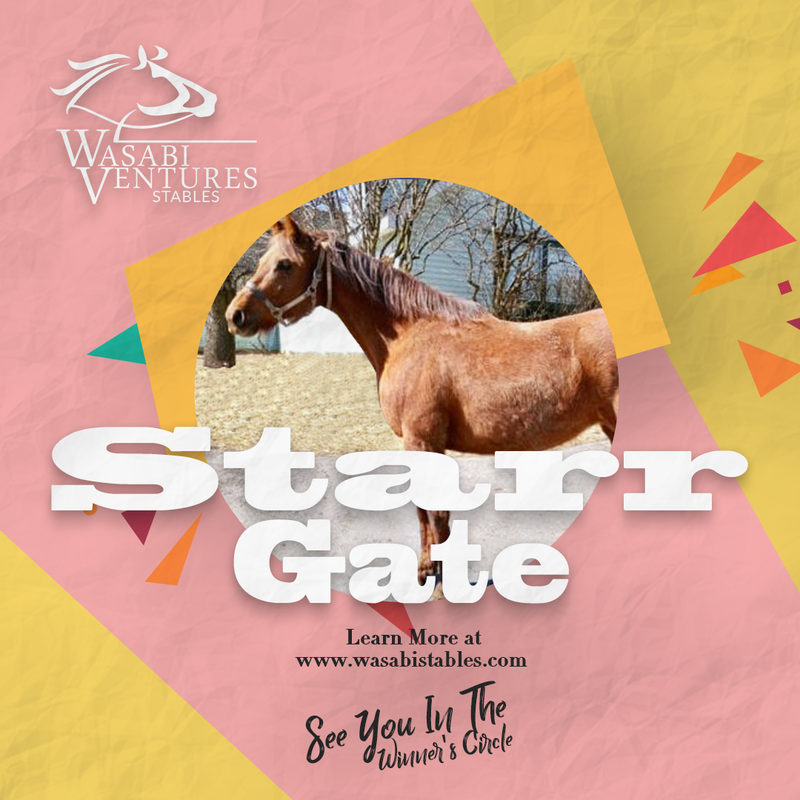 Starr Gate was not bred back in 2018, and is currently booked to the intriguing young Grade 3 winner Buffum in a Housatonic Recommended Mating, which you can read about here. 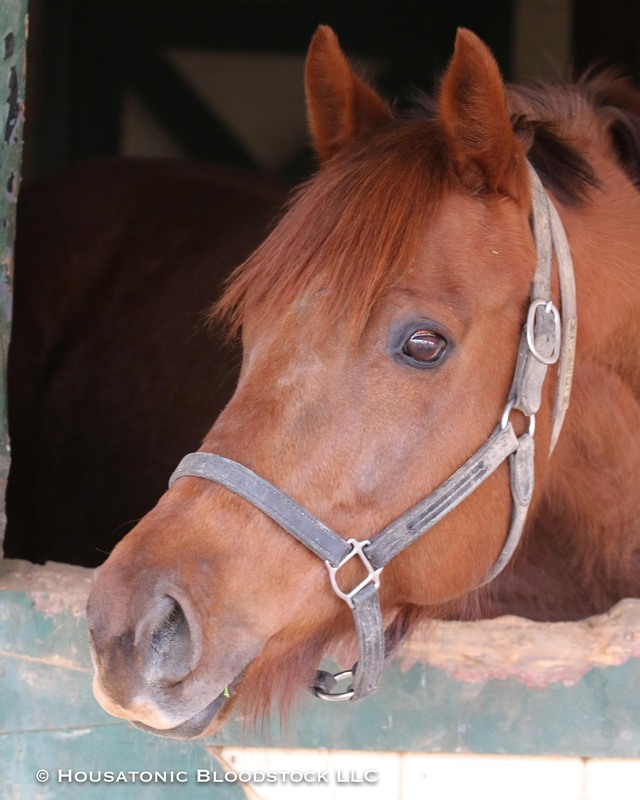 NOTE ON PRICING: With our 2019 Broodmare Program there are two options, a 1% stake or a 10% stake. Please read the agreement before purchasing. 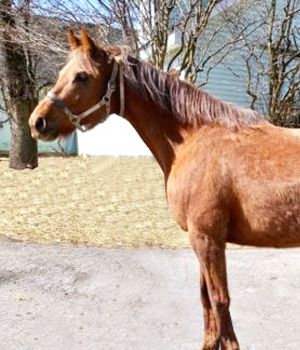 There is NO $99 horse admin fee on our 2019 broodmares. A 1% stake is projected to have expenses of ~$640 over 3 years. 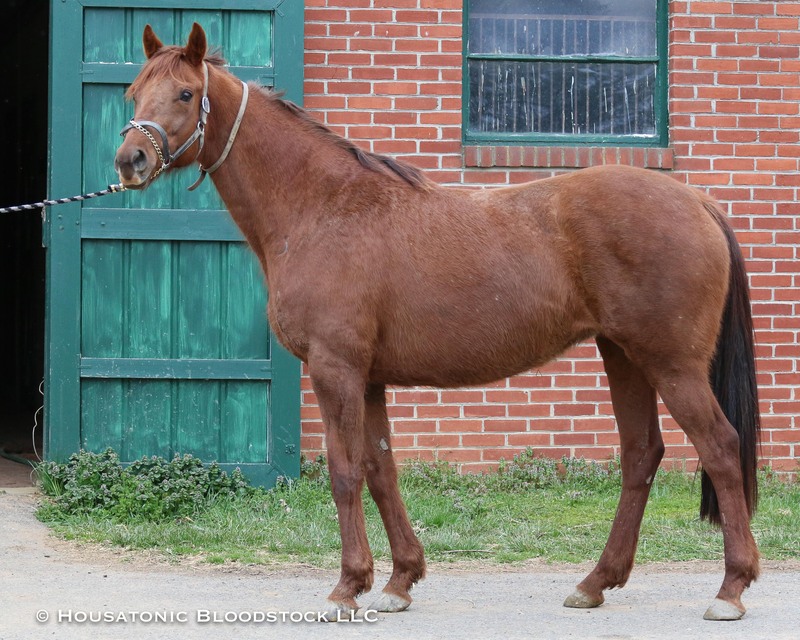 She is a Ned Evans-bred daughter of Horse of the Year Mineshaft, who is already the broodmare sire of Kentucky Oaks-G1 winner Cathryn Sophia and other Graded stakes winners like Catalina Cruiser, Coal Front, Eagle, Azar, My Boy Jack, Enticed, Leave the Light On, etc. Starr Gate is out of Stellar, a $700,000 2-year-old in-training purchase by Demi O’Byrne for Coolmore, who went on to be a debut winner at 2, finish 2nd in the G2 Adirondack Stakes next time out, and at 3 win the Very Subtle Handicap for trainer Patrick Biancone. Stellar is a half-sister to the Grade 1 winner Gygistar, out of Starr County, by Ogygian. Starr County, in turn, is out of the G2-placed winner Ellie Milove, by Dr. Fager — a half-sister to Breeders’ Cup Sprint-G1 winner and Champion Eillo. So this is a female family with loads of speed, and Starr Gate herself lived up to that by taking a pair of races at 3-years-old, going 6 furlongs and 6-1/2 furlongs. Her lifetime record was (7) 2-2-2, $55,680.